← Food Labeling: The Hype Hasn’t Really Changed! 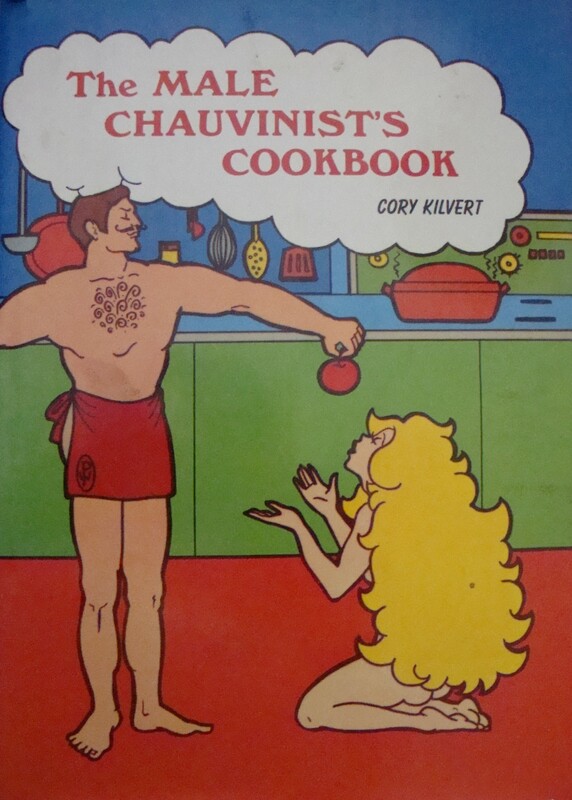 These are some of the words on the dust jacket of Cory Kilvert’s “The Male Chauvinist’s Cookbook”, published in 1974. Whether Kilvert writes “tongue in cheek” is debatable, but he clearly denotes all women as “cooks” and men as “chefs” and as he points out, “And with good reason. Man is the superior being”. Whoa! What century are we in here? Kilvert directly addresses those women, famous for their activities in the early 1970’s in the world of sports, feminism, etc. “So move aside, Betty and Gloria, Germaine and Billie Jean and Kate, and take your rhetoric with you”. Dale Carnegie, in 1936, published “How to Win Friends and Influence People”. Apparently, Mr. Kilvert never read it. Even the chapter headings give one an idea of where the book is headed: “Success Depends on What you Have and How Well you Use it”; “A Loaf of Bread, a Jug of Wine, and Pow!”; “The Morning After”, “Light Suppers for Those Heavy Dates”. 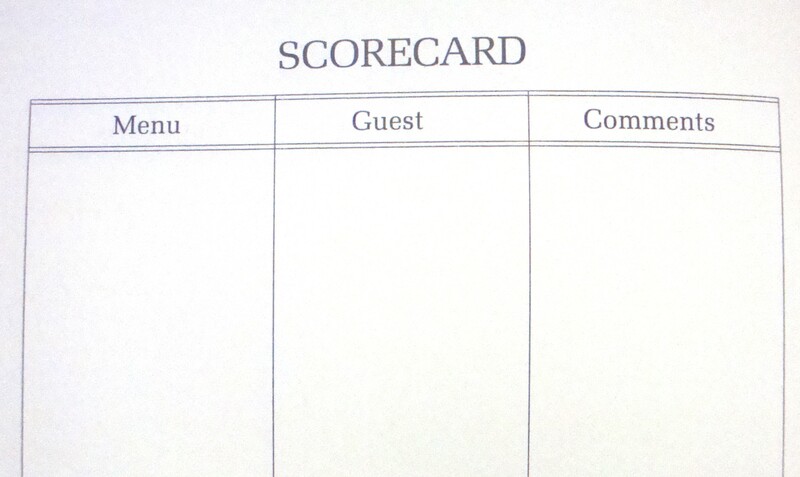 The last few blank pages are titled “Scorecard”, with three columns: Menu, Guest, Comments. I suspect the “comments” column has no relationship to the “menu” column, or what was served. I had to admit that there is no ambiguity in the contents of the book, based on it’s title. 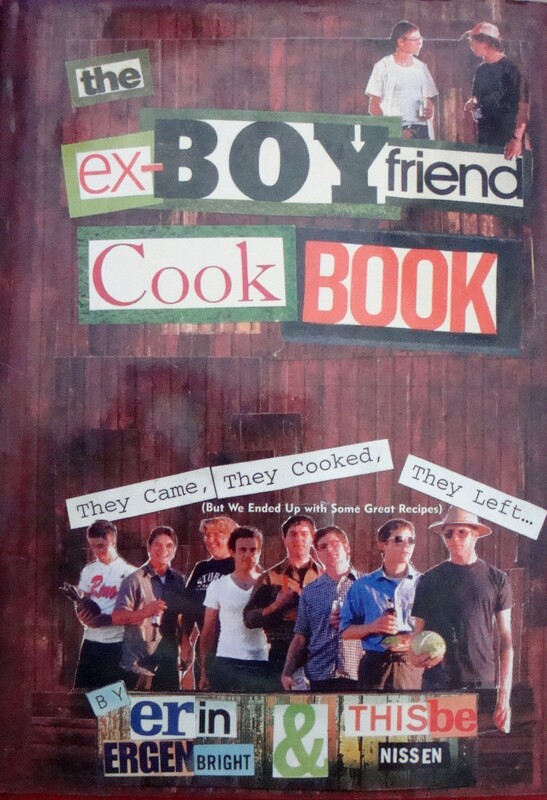 It most definitely is “The Male Chauvinist’s Cookbook”! 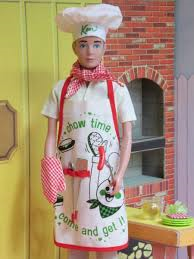 If Ken ever graduated to an Executive Chef position, I could find no mention of it. 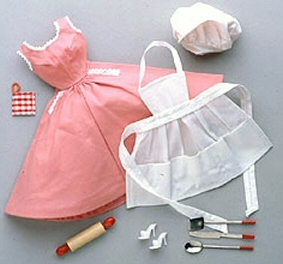 In more recent years, however, Barbie did seem to make it to the ranks of a Pastry Chef. Put that in your pipe and smoke it, Mr. Kilvert! Today, fortunately, the eternal “battle of the sexes” has been moderated to a degree by changes in attitudes in both men and women (well, at least in some men and women!). In North America this has become the most obvious, although sexist/chauvinist attitudes are still major issues for women in many other countries. When I was working in Bosnia for several months after the Dayton Peace Accord of 1995, in addition to my duties as a Forensic Anthropologist, I was also asked to take a driving test to help in transporting our crews back and forth. Over the months I was there and driving our van, I was continually scrutinized, sometimes in amazement (by women on the streets), and on occasion, with indignation (by men on the streets), that a female should be permitted to drive a vehicle! 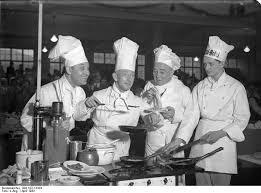 “The Male Chauvinist’s Cookbook” by Kilvert is a “throwback” to an era, where women were still considered property or chattels, could never hope to attain similar salaries for doing a man’s job, could rarely hold executive positions, and in many states, could not even own property, not to mention a host of other indignities they were subjected to (“barefoot and pregnant in the kitchen”). Speaking of possessions, flashback again to Bosnia, 1996: one evening, with some of my colleagues, we traipsed down the hill from our accommodations to a small café in town, occupied solely by men, with the except of myself and a female autopsy aid from Scotland. Upon our arrival, we noticed a sudden change in the atmosphere and all attention (read “ogling”) was directed to our table. After overhearing some serious muttering, one of our colleagues from Turkey managed to speak to the gentlemen, as things appeared to be escalating. When he returned to our table he advised us to pay for our beers and make a quiet departure. On the way “home”, he advised us that there had been some serious bartering for my female colleague and me: negotiations for me were only for two beers and a goat. My colleague, a gorgeous blonde (and younger) was undoubtedly worth several cases of beer and perhaps a flock of sheep. We’ll never know. That was 1996! Even my Mother’s experience in the early 1930’s reflects those attitudes at an even earlier time. 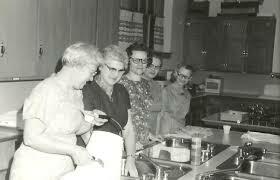 She was hired to work as a Secretary at Zenith Corporation in Chicago, and when she and my Father married, they kept it “mum”. Women in the office were not permitted to be married, for whatever twisted reasoning, and if she had acknowledged it, she would have been dismissed. At the same time, however, women were somehow “equal” to men, when it came to making major contributions to the war efforts (remember Rosie, the Riveter?, the WACS (Women’s Army Auxiliary Corps) and the WAVES (Women Accepted for Volunteer Emergency Service?). 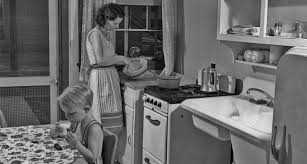 Perhaps Mr. Kilvert, author or “The Male Chauvinist’s Cookbook” might have a look around him in this slightly more enlightened world of 2014, 40 years since he wrote his book promoting men in the kitchen as “…the only room in the house where men don’t already reign supreme”. We can only hope he will be enlightened. This entry was posted in Bosnia, Cookbooks, Cooking, Cooking and Social History, Food Trends, Uncategorized, Vintage Cookbooks and tagged "Ken" and "Barbie", 1950's, 1970's and feminism, Bosnia, Chefs, cookbooks, Cooking, food history, French Cooking, social history, Sue Jimenez, The Chauvinist's Cookbook, The Ex-Boyfriend Cookbook, The French Chef, time capsules. Bookmark the permalink.